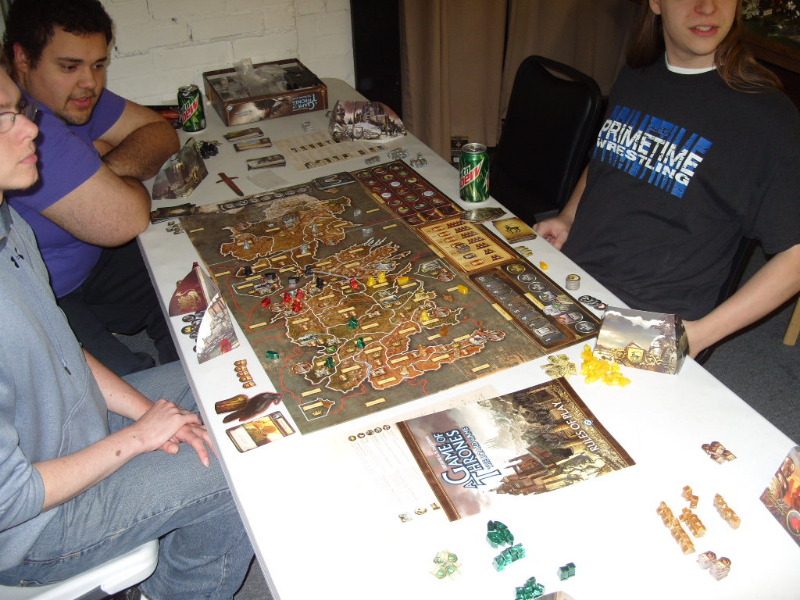 2:00pm: Dungeon Command (miniature game). 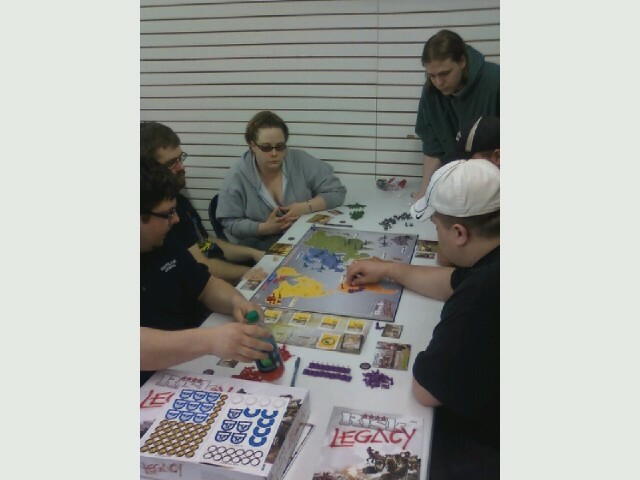 2:30pm: Descent 2nd Edition (board game). 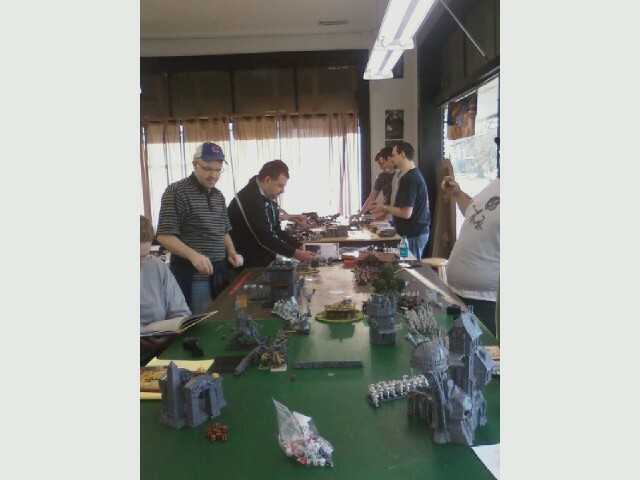 3:00pm: War of the Worlds (miniature game, 6mm Future War Commander Rules). 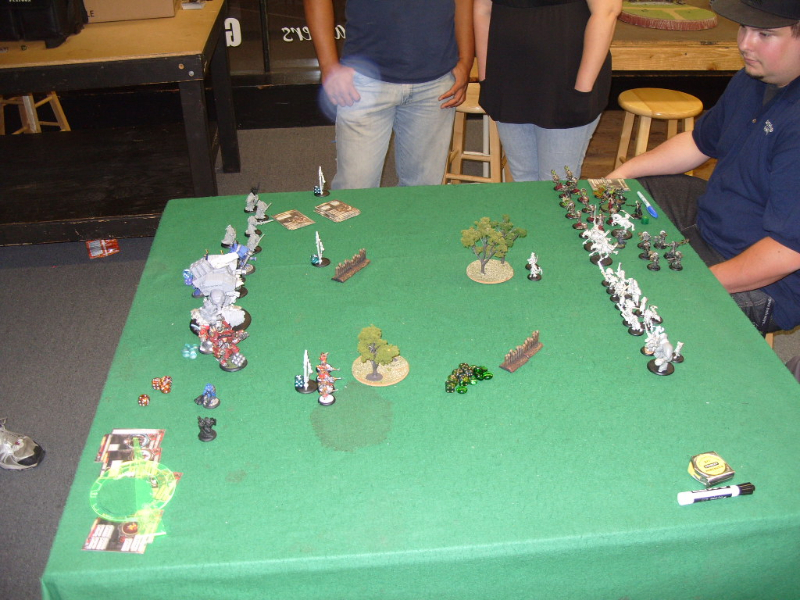 5:00pm: DUST Warfare (miniatures game). 6:00pm: Seven Wonders (board game). 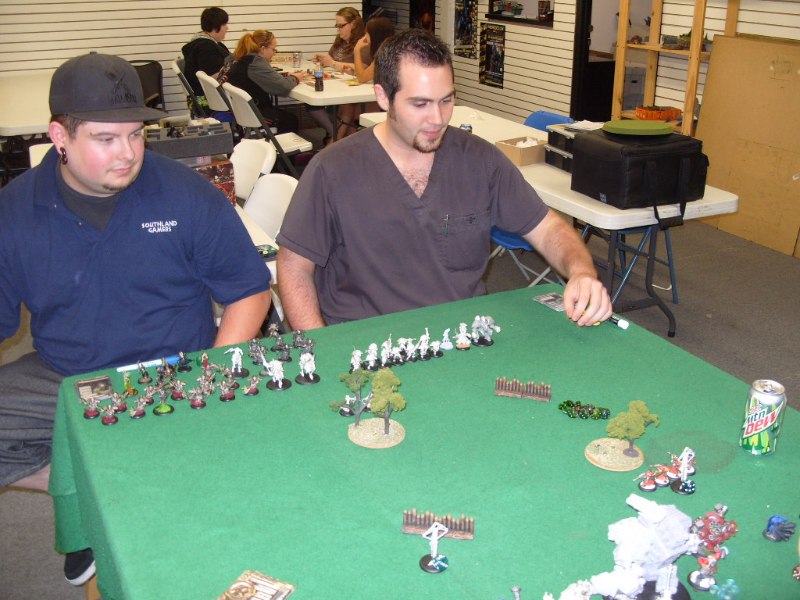 6:30pm: Marvel RPG (role playing game). 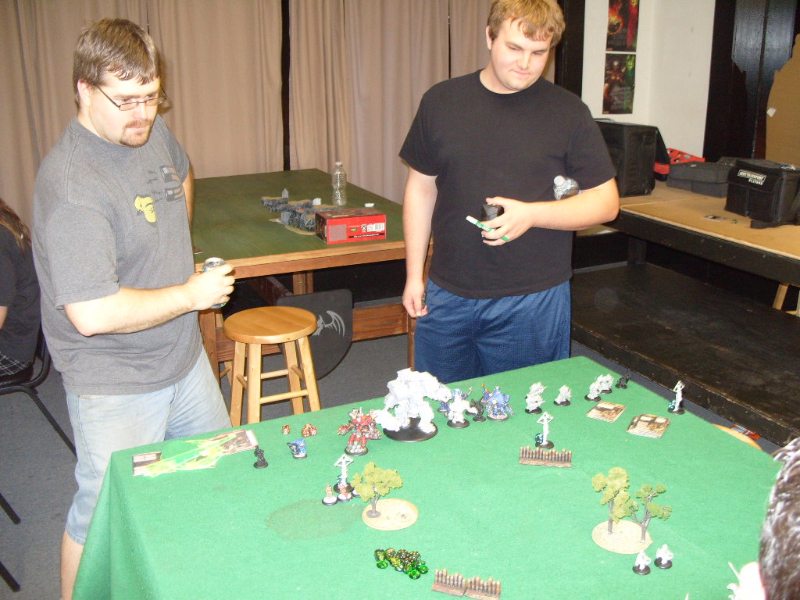 7:00pm: Star Trek Space Combat (miniatures game). 8:00pm: Settlers of the Stone Age (board game). 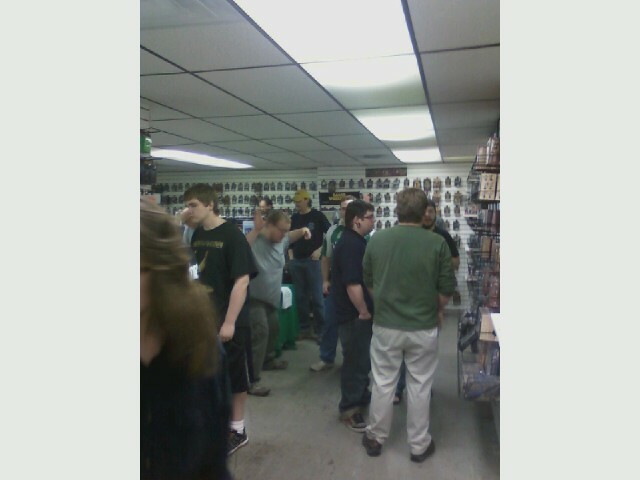 9:30pm: Store Announcements and Raffle Drawing. Warmachine/Hordes: Dark Secrets League. Play a League game during Realms and receive a free raffle ticket (limit three per person).